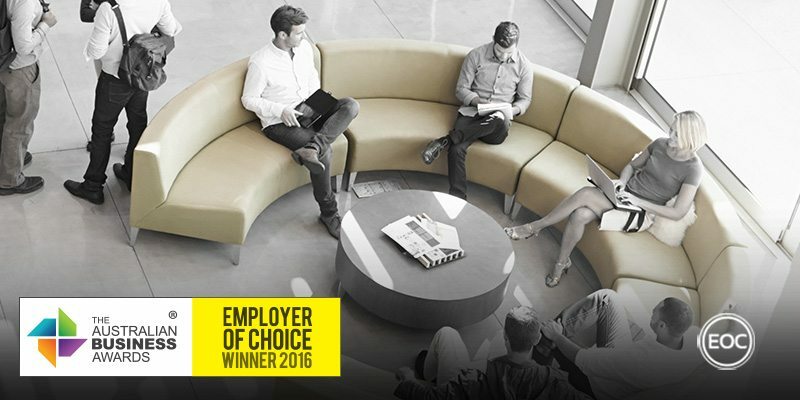 Total Surveying Solutions has been recognised as an Employer of Choice in The Australian Business Awards 2016. Total Surveying Solutions (TSS) is an experienced, full-service land surveying company. The company values each individual, respects and encourages diversity, and creates and promotes a sense of belonging. Their no-blame culture focuses on finding what works best, sharing success and enjoying the experience. TSS has a mentoring system in place which uses both internal and external mentoring sources. To ensure they are at the top of their game and ahead of their competition, TSS encourage their employees to attend industry seminars and training courses. TSS ensures all new employees have the correct and current licences needed to perform their job, and if they don’t, they provide them with necessary training and courses. TSS administration staff are not left out when it comes to training, and TSS is always on the lookout for appropriate training courses to provide them with the best knowledge for keeping their clients happy. The health of their staff is TSS’s top priority and they are always making sure their team is in good health and good spirits. TSS are about to take part in a program that they sponsor; Walk Around the World. All staff members will wear a pedometer throughout March and track their steps to achieve the program’s goals. TSS has also recently signed up to Woolworths online to order fresh fruit on a regular basis to promote healthy eating in the work place. TSS also encourages regular team bonding, whether it be with annual activities such as some healthy competition with a go-karting day, or their weekly squash tournaments. TSS are committed to ensuring their team stays positive and on track. They regularly meet with their staff to discuss any issues they may be experiencing, their performance and how to handle any situation they are given. TSS also recognises the importance of family, and encourage staff to spend time with their family. They do this by allowing staff to have time off for birthdays, children’s school activities, anniversaries and any other important event that may arise. During school holidays they regularly have staff bring their children into the office for the day. TSS ensures they have regular performance reviews with staff to ensure they are rewarded for their dedication, hours, hard work and time they give to TSS on a regular basis.